BEDFORD, Mass., March 23, 2016 / — VoltDB will be exhibiting at Strata + Hadoop World, taking place March 29-31, 2016 at the San Jose Convention Center. Located in Booth #1037, the company will demonstrate the impact of fast data for both businesses and developers. 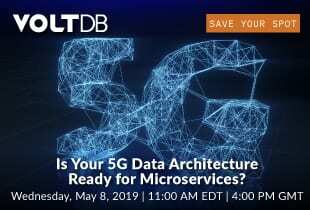 The booth will feature VoltDB v6’s new geospatial and XDCR (geographically distributed database replication) capabilities, as well as an industrial IoT demo.